In August of 2018 I had the opportunity to travel to Cuba to meet with Sabbath-keeping believers in the city of Santa Marta. Manuel Marambio, a leader of the Chilean SDB Convention, met me there to translate. The Cubans had initially made contact with the Chileans through the Chilean SDB website. Because of this connection and to help continue to foster a global mindset for the Chileans, we agreed that a Chilean should partner with me in this mission. I had some concern that as an American I might have trouble with entry into Cuba or be treated with apprehension because of the historic and current political tensions between the USA and Cuba. However, entry was relatively easy and my experience was that the Cuban people do not hold the political struggles of our earthy governments against the American people. I was welcomed warmly by people from all walks of life, but especially by our brothers and sisters in a small town three hours east of Havana. Norge Jesús Peña Hijuelo is currently the leader of the fledging group of families meeting in his home in Santa Marta. Years earlier, he had been a headlining illusionist in the premier tourist hotels along the beautiful Varadero beach. He was well compensated financially for his work, but the distractions of the lifestyle cost him in his walk with Jesus and consequently his relationship with his wife, and their young daughter and son. During a painful separation from his family Norge poured himself into prayer and studying God’s word. It was then that he became convicted of the Sabbath and God’s desire for him to forsake the traditions of men and follow God’s will for Norge’s life. Since then Norge has reconciled with his family and given up his career in entertainment in order to focus full time as a father and minister of the Gospel of Christ. His vision is, with God’s help, to continue to make disciples of Jesus in his community. Those disciples will then make disciples in the surrounding communities—changing lives little by little, until through their obedience, God is glorified throughout Cuba. As we were leaving, Norge wanted to make sure I let everyone know how honored they were by our visit, and how it had given them new strength to continue their labors for the Lord. He wanted to share his appreciation to those who support the Missionary Society and the Chilean SDB Convention for the sacrifices made for this visit to build our relationship and encourage them in their work for the Great Commission. Please, join me in praying that God will bless them as they bring the Light to dark places in the tropical island nation of Cuba. ministry works around the world. 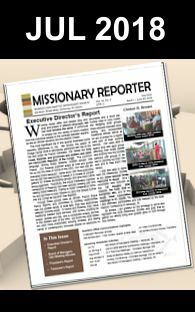 Members receive the latest Missionary Reporter and other reports as part of their membership. 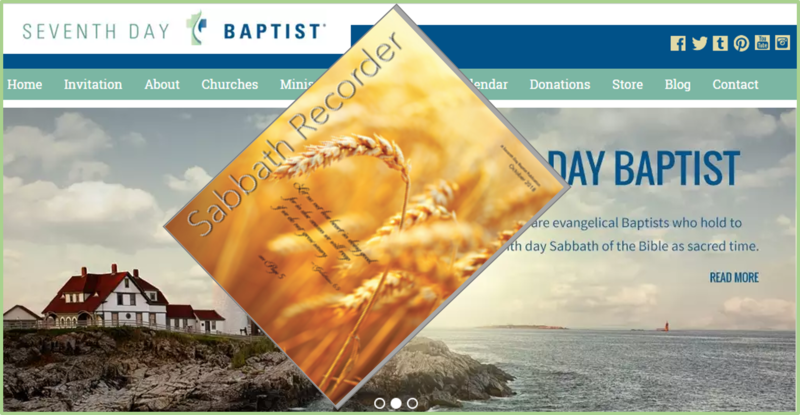 Archived reports are available through this website or upon request. Enter your email address to subscribe or clinic on the link to read the current report. © 2016 Seventh Day Baptist Missionary Society. All rights reserved.